Please take a look at the figure above. This is drawn on a standard 2-dimensional grid with an x-axis and a y-axis. There are two points A and B at location (0,1) and (5,11) respectively. 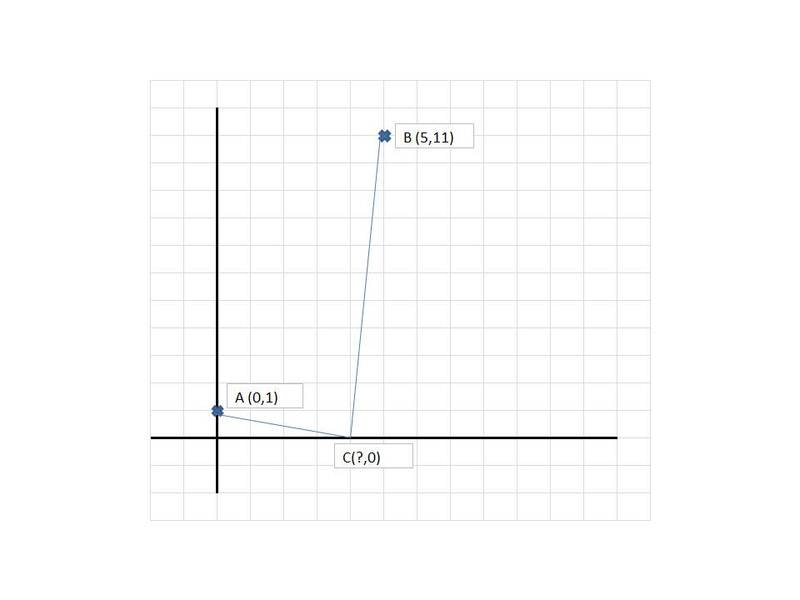 Your task is to find a point C on the x-axis such that AC+BC is the shortest.